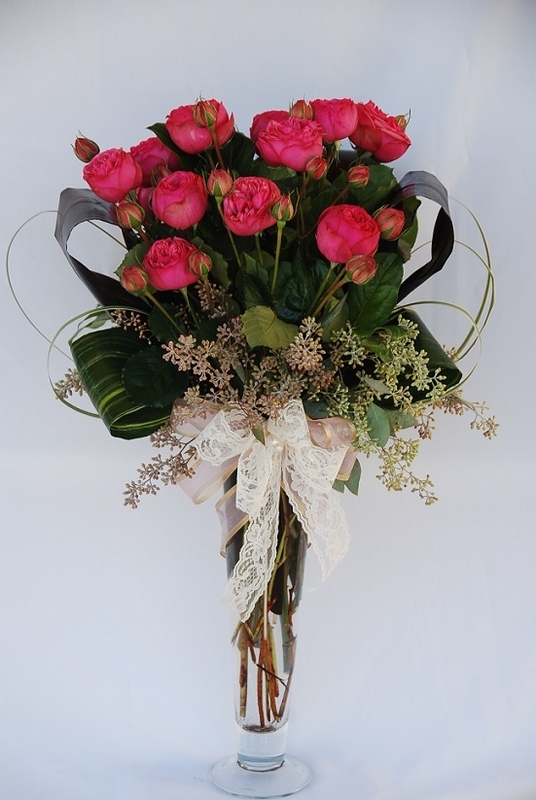 1 dozen sweetheart roses bouquet for ONLY $9.99. 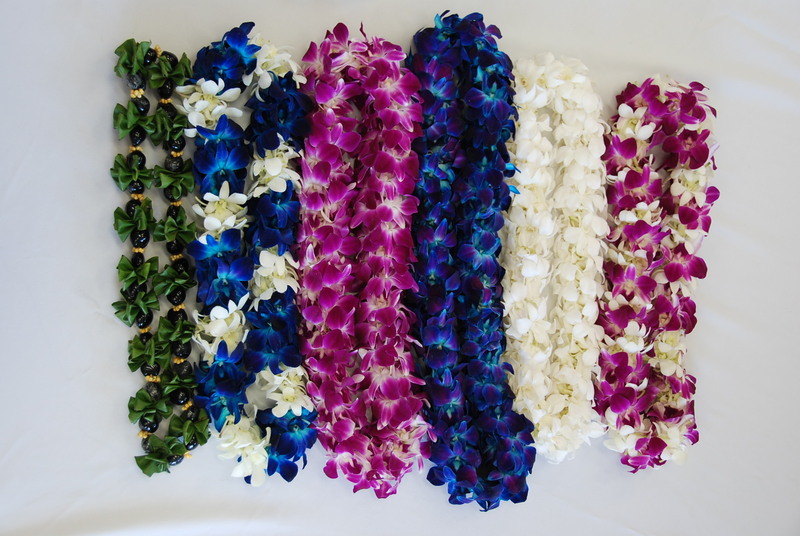 Different colors to choice from. 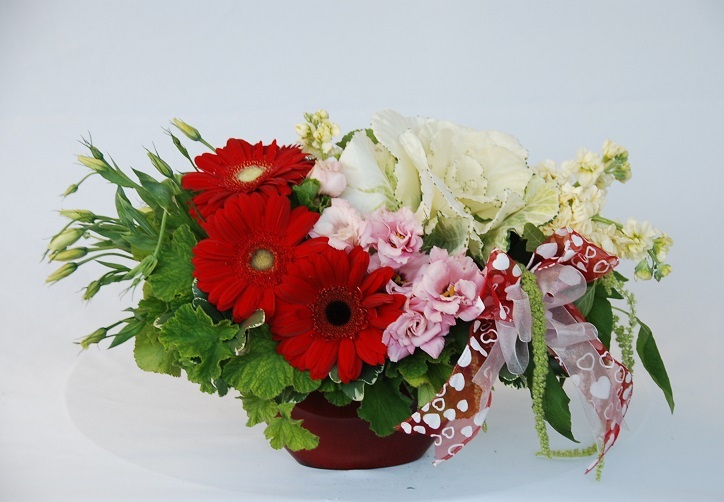 All around beautiful floral arrangement composed with red gerbera daisies, pink lisianthus, kale and yellow stock. 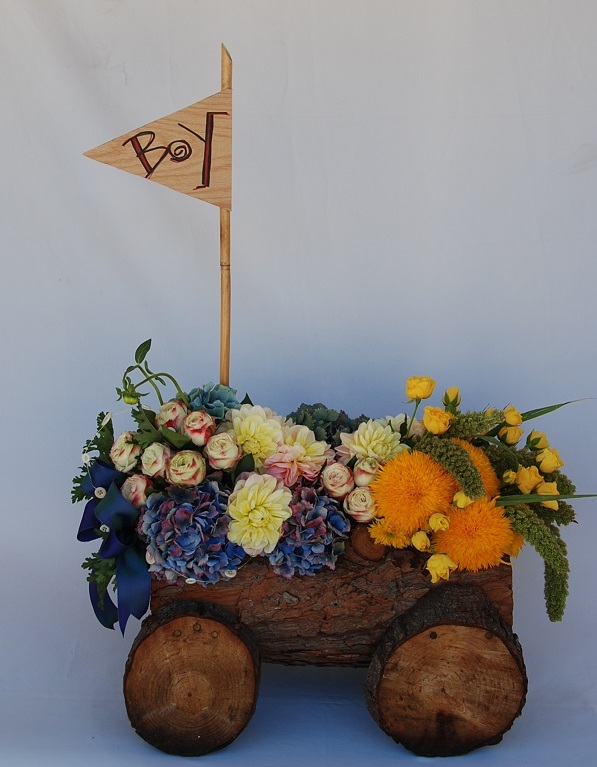 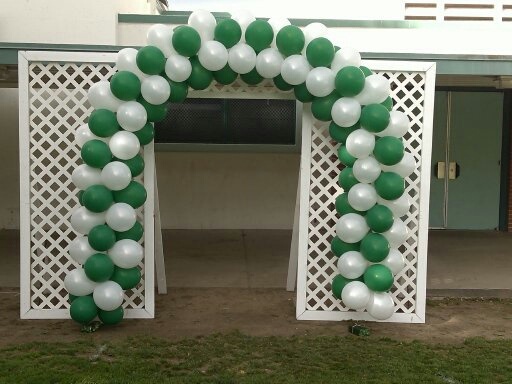 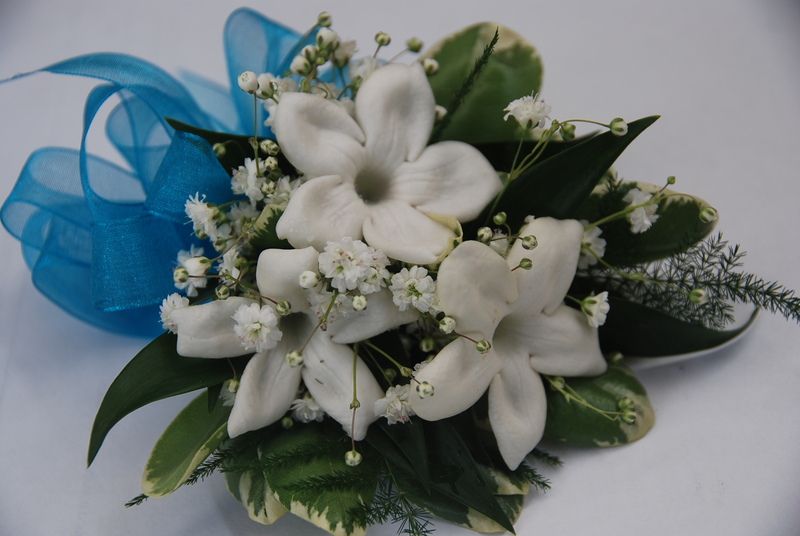 The flowers are enhanced and accented with soft greens and filler flowers. 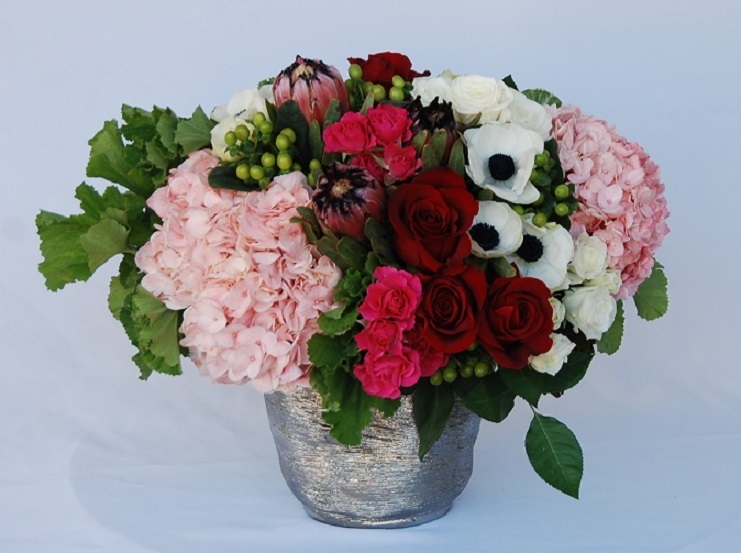 Beautiful high end silver ceramic pot with pink hydrangeas, red roses, spray roses, white French anemones, green coffee beans, and queen proteas. 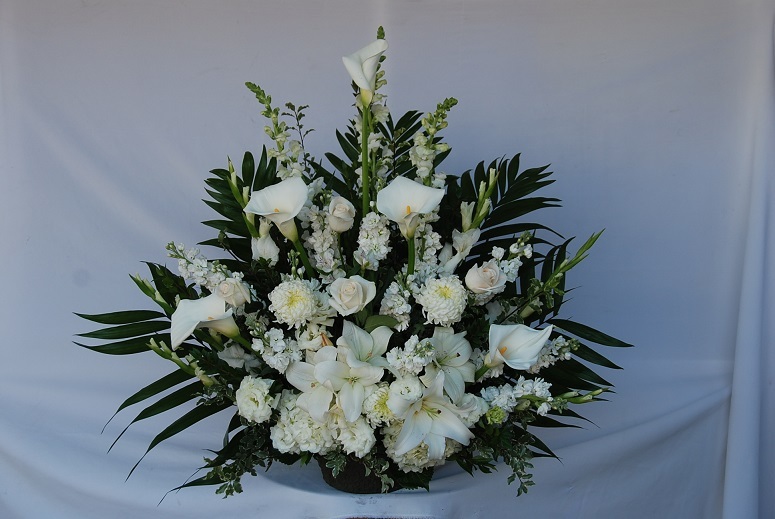 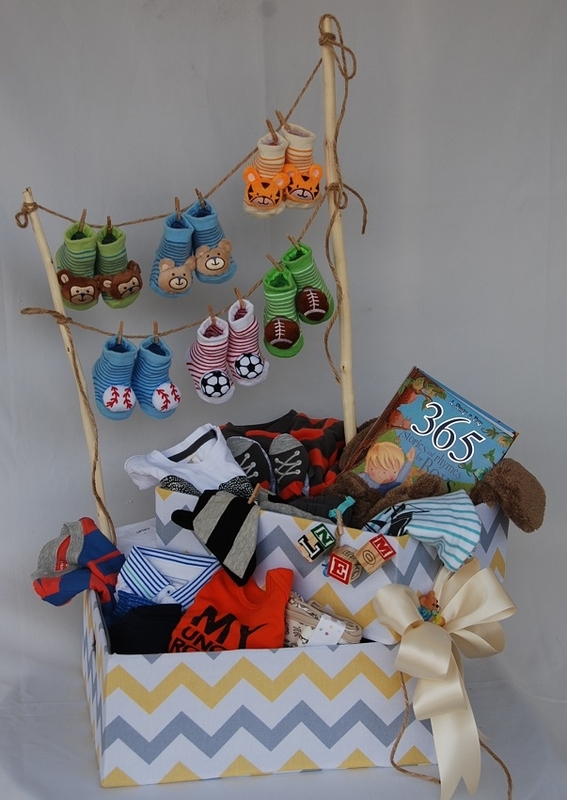 This arrangement is available between $65 to $300. 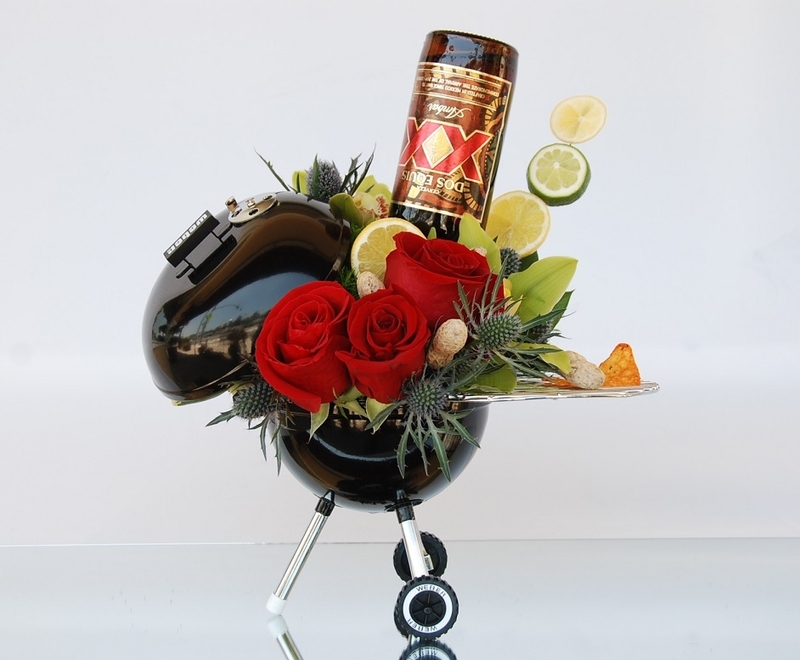 Celebrate Dad with our Famous Weber Grill arrangement and personalize it with his favorite drink ! 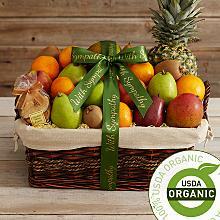 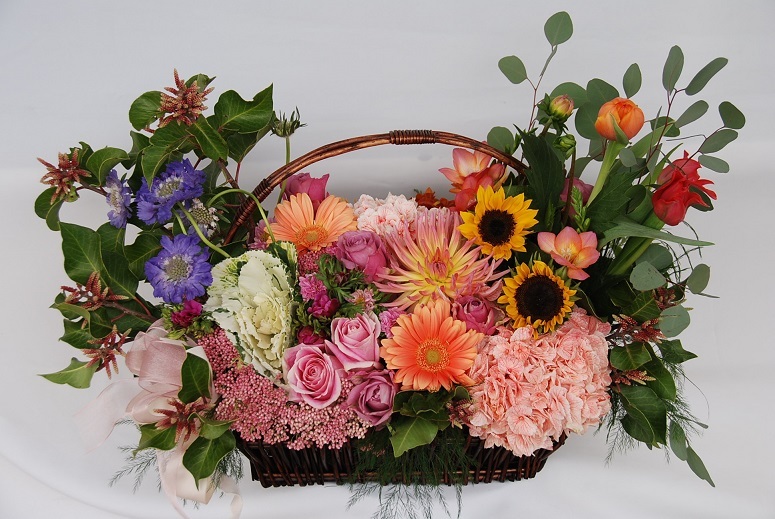 A basket filled with yellow sunflowers, pink hydrangeas, bright gerbera daisies, pink roses, tulips and decorative kale. 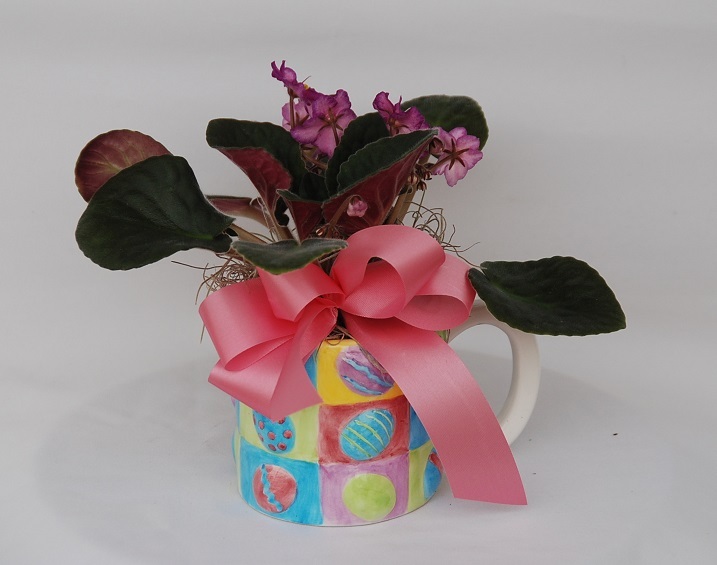 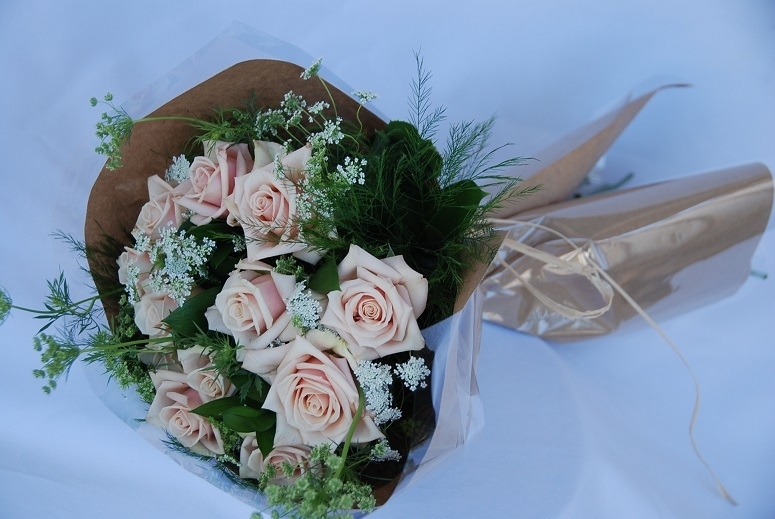 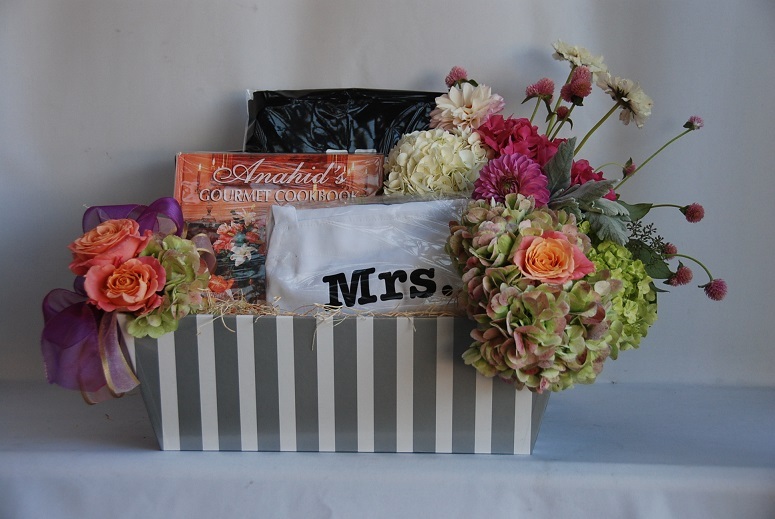 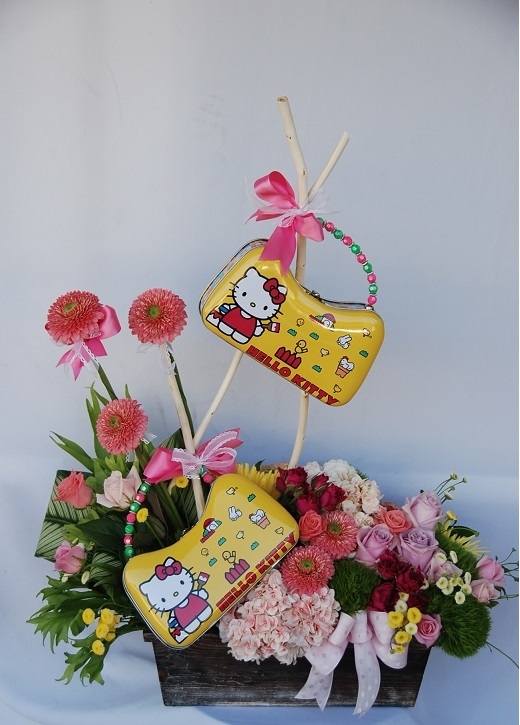 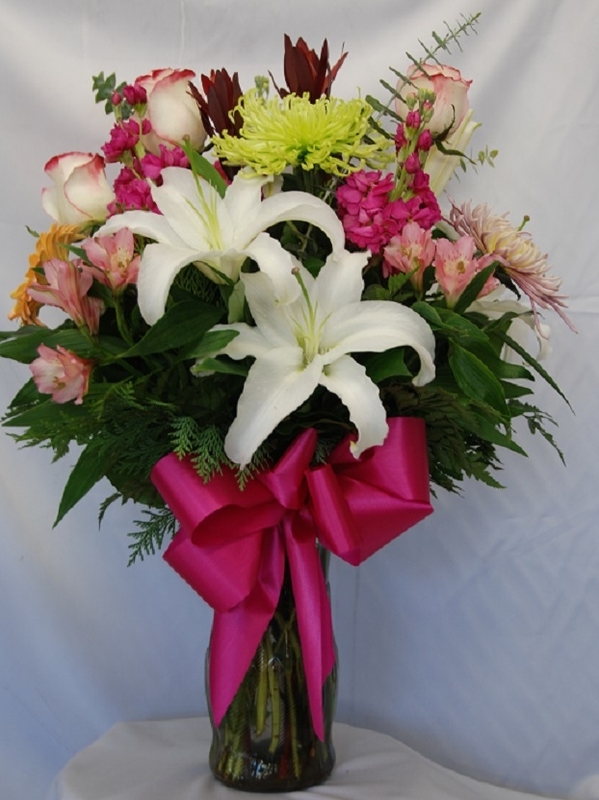 The arrangement is completed with lush greens and large pink bow. 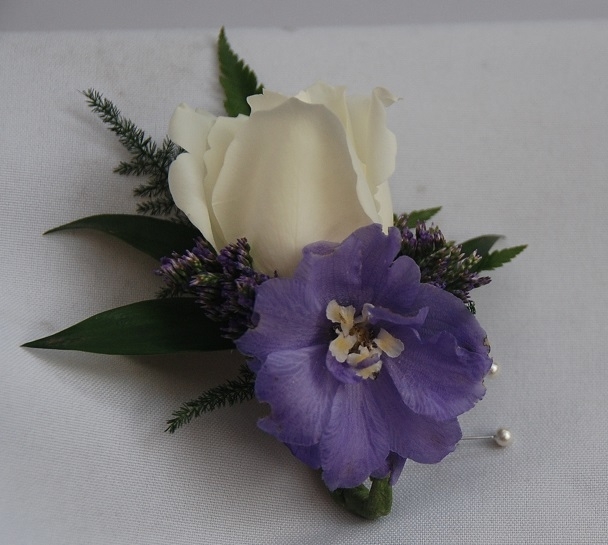 Boutonniere for prom and weddings with different type of flowers of your choice. 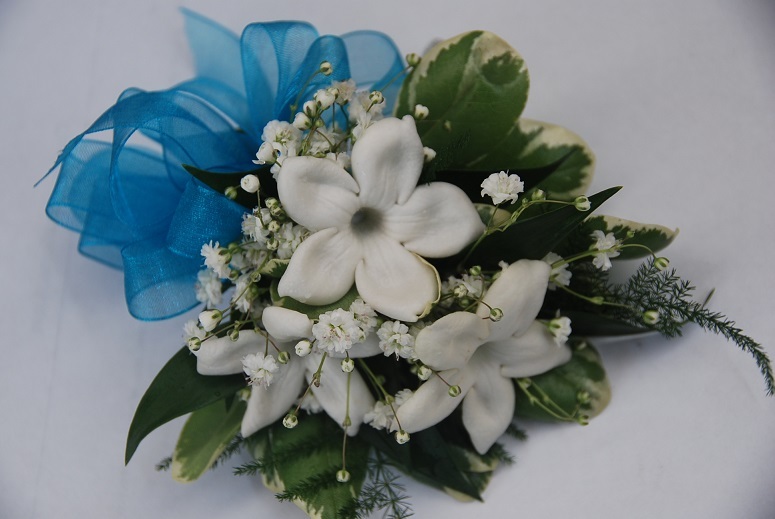 Get your Boutonniere & Corsage for your love one, with there favorite flower. 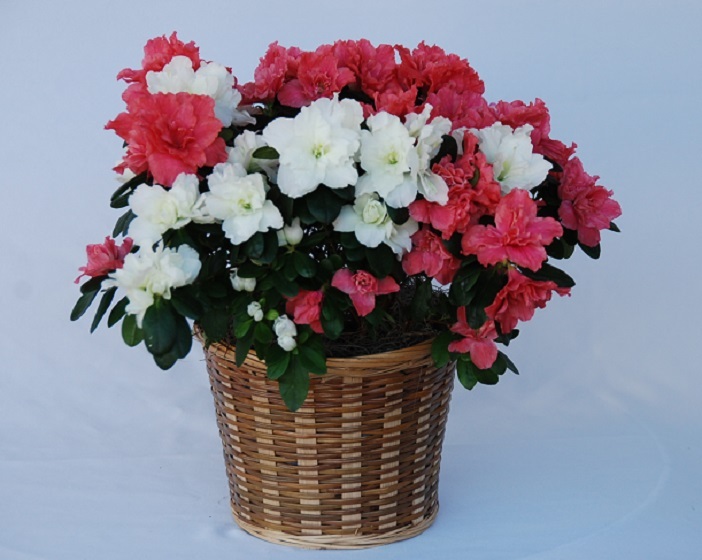 We have doz of roses with lot of colors to choice from. 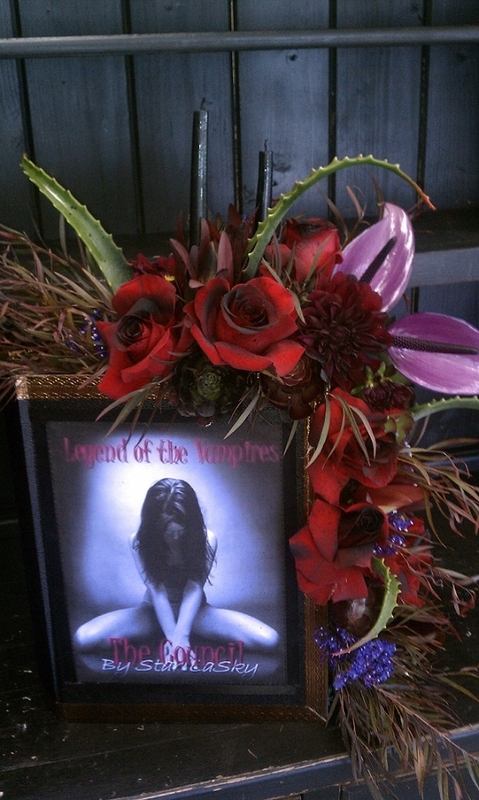 For only $9.99. 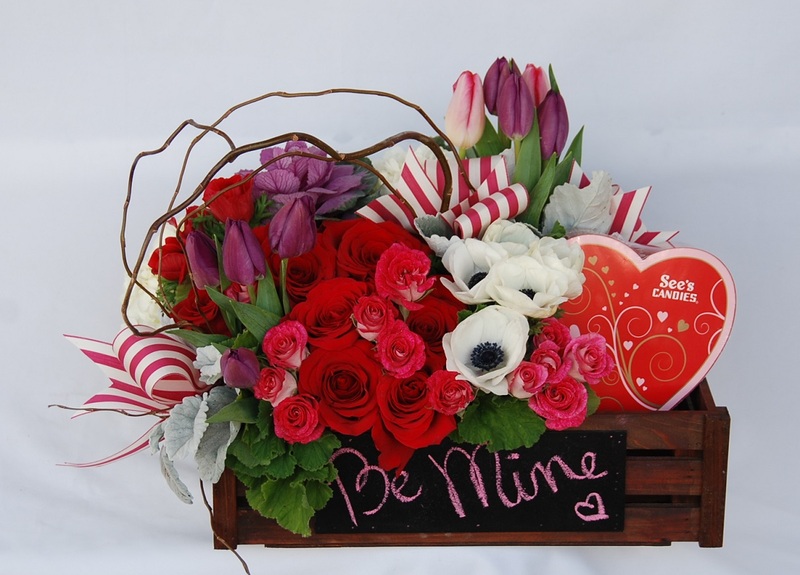 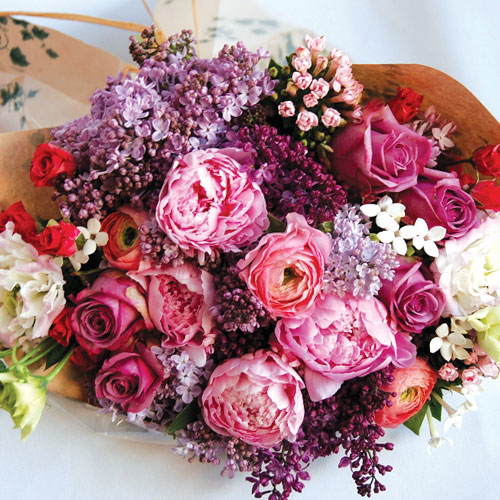 10% off on your Valentine's day flowers. 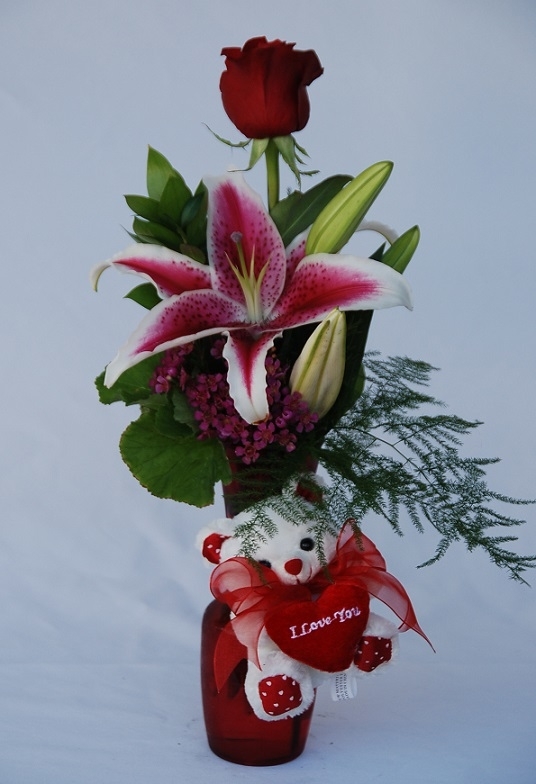 Red Rose & Star Gazer in a Red Bud Vase with I Love U Teddy Bear. 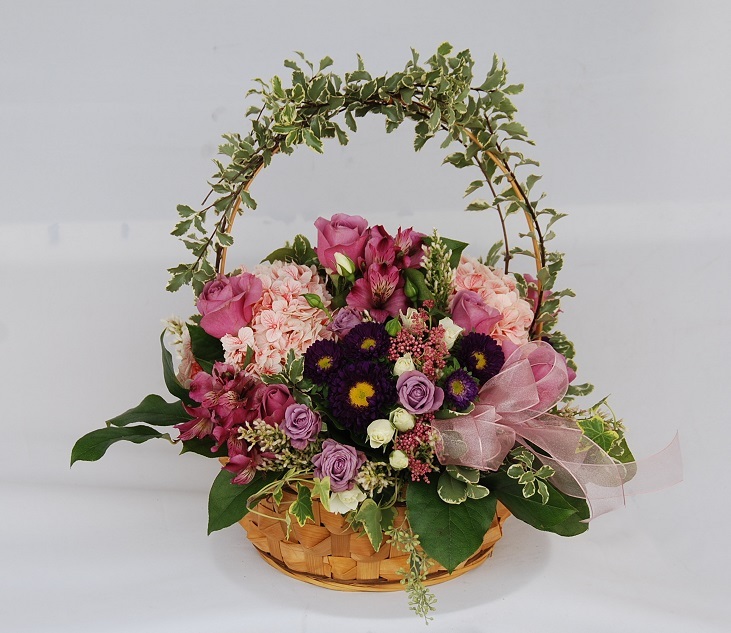 Lilacs and Easter arrangements are available!